The decor serves double duty as indoor and outdoor cheer. Depending on what type of windows you have, easiest way to make this work is probably to use an inexpensive tension rod like in the photo above (these are $9.99 at Bed, Bath and Beyond). 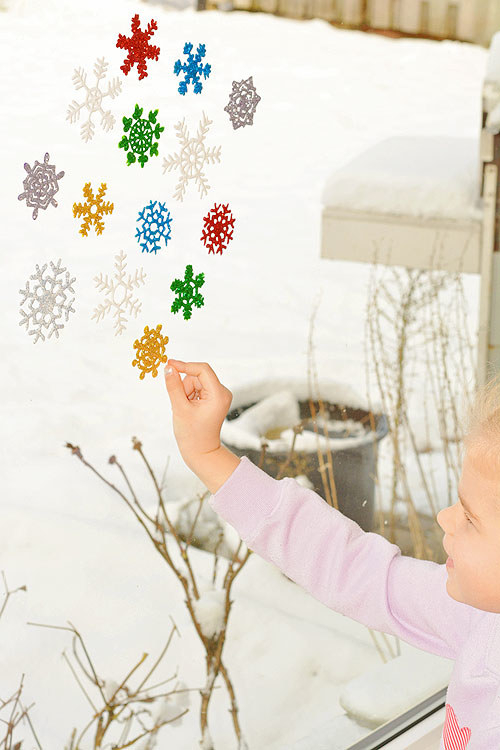 Glitter totally optional here, but you could use the technique to make any shape of window cling you like best. Here’s how to do it. 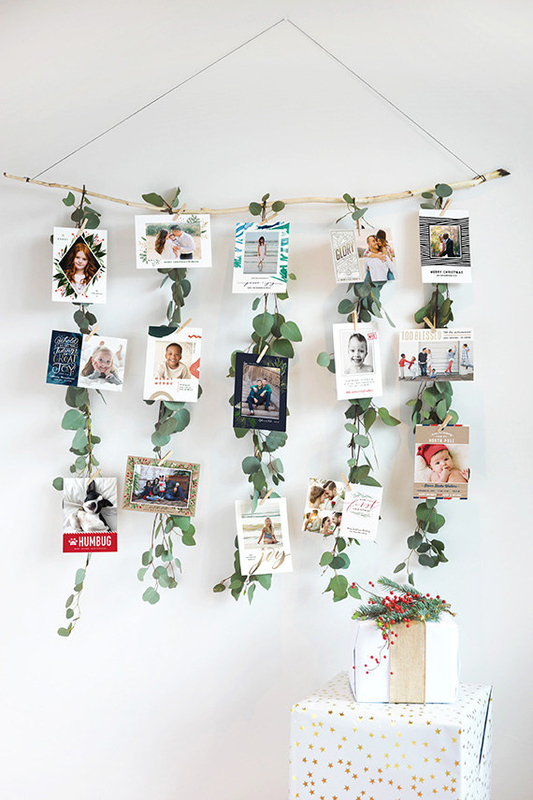 Fair warning, don’t hang stockings on this one — they won’t fit! 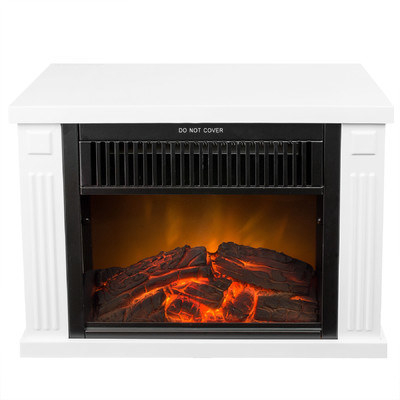 Get it here At Wayfair for $71.99. You could put ornaments on it, too, if that brings you joy, but sometimes small trees can look overwhelmed by lots of ornaments! Putting your tree in a basket, like above, is a nice way to make it just a tad taller without it taking up your tiny table. Learn how to set it up so watering and maintaining the tree is easy—read more here. Although I don’t know about you, but in my tiny New York apartment, I don’t have enough blank wall to make this work. Learn how here. 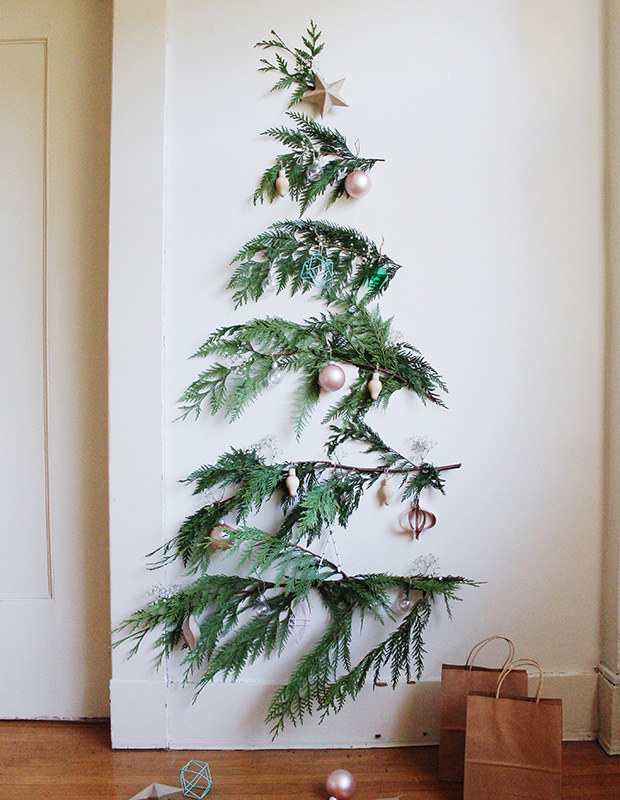 Of course if you don’t mind needles, you could try this out with evergreen boughs, too (places with Christmas trees usually sell them or give them out). Get the super easy tutorial here. Sure, it may have a bit of a Stranger Things vibe, but not everyone has the same taste! (Personally… I’m really into it.) From here. If you don’t have space for a big tree, you might as well opt for what will be the center of attention in a home that’s mostly a bedroom anyway — your bed. Buy the one on the left at Pottery Barn for $79 here, and the handmade, vintage quilt on Etsy for $94 here. It’s going to smell good and look pretty all season long. Plus, it’s only as expensive as an orange and some string. Here’s the tutorial. You can add rosemary, pinecones, cinnamon sticks — whatever your heart desires. Even if you can’t make your place ~look~ as Christmas-y as you’d like, you can totally make it ~smell~ Christmas-y. 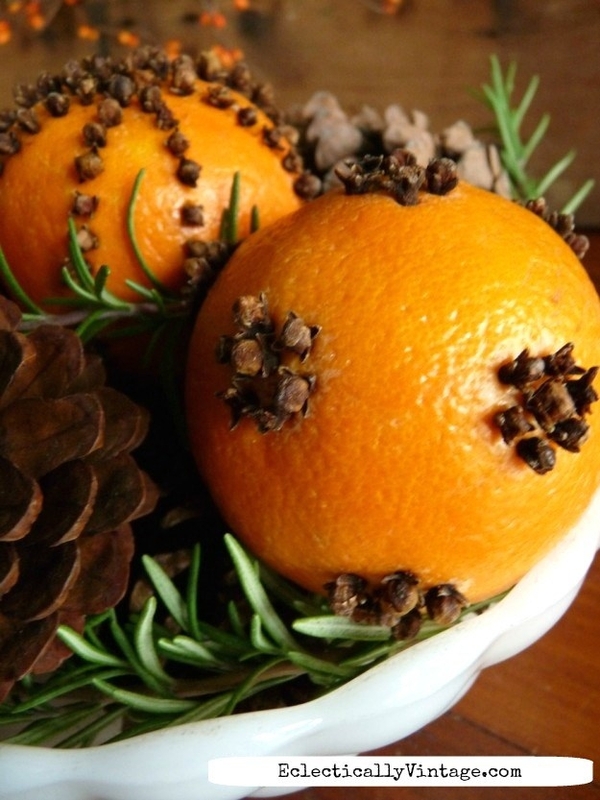 Learn how to make pomanders that last a while here. 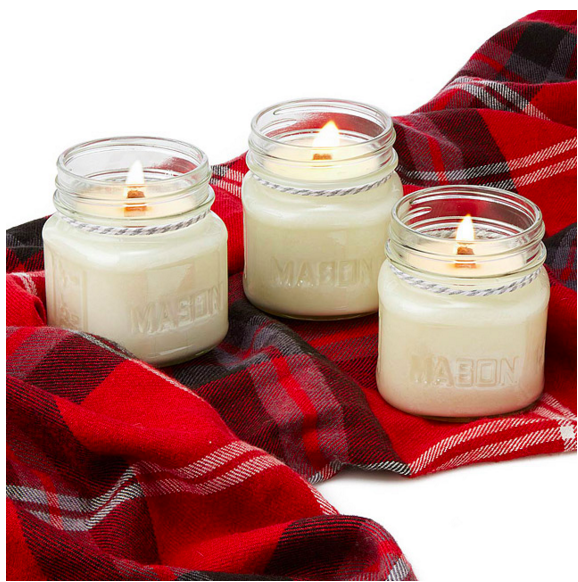 They come in “Mulled Cider,” “Snow Day,” and “Sweater Weather” — all ideally cozy, if you ask me. Get yours for $18 here. 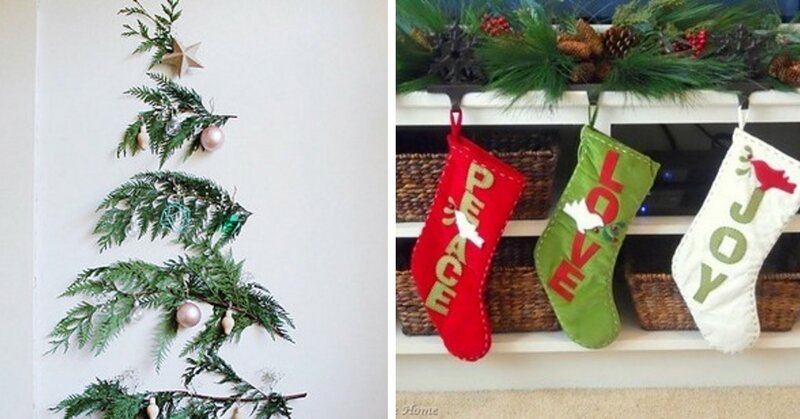 It’s the perfect place to hang your stockings (use inexpensive s-hooks like these). If you’re more artistically inclined, you could just paint a fireplace onto the drop cloth. But the chalk lets you mess up, erase, and start over so easily. See more inexpensive holiday decorating ideas at HGTV. An elegant bathroom design with lots of white and lots of light.